It’s been a landmark year for ecommerce merchants across the globe. None can help but feel super proud as they await the end of one amazing year of ecommerce mercantile, and the start of the next. No matter how you feel about New Year’s Resolutions, benefits abound from times of reflection. Merchants: resolve to review your business plans. Bolster what worked, and alter what didn’t. Look at your current market, growth plans, processes, and operations. Your ecommerce payments processing deserves to be included in the assessment, as you delve into your operations review. After the New Year ball drops, you may be planning to expand an existing online business, or want to start a new ecommerce shop. Either way, getting off on the right foot in 2018 is the way to go. Let’s take a look at why it’s time to re-evaluate your merchant account providers — and what to look for when choosing a new one. So you can start the New Year on the right foot. Maybe you’re one of the fortunate few, with no business issues. Everything moves along tickety-boo without a hitch. Sales increase; expenses stay fairly stable; and operating costs (including payment processing fees) remain in line with expectations. Lucky you. But if your processing fees make your eyes bleed, new merchant account providers might be in order. As your sales grow, it’s time to move away from generic payment aggregators (like PayPal, Stripe, and Square) and move to your own merchant account(s). If you aspire to sell more than $10,000 per month, see DigitalMarketer’s rationale for choosing the traditional path. They advocate choosing merchant account providers vs. payment aggregators — except during a proof of concept — when expecting sales to remain low — and always for high risk merchants. Merchant account providers should set you up with scalable end-to-end payment solutions tailored to your specific requirements. Merchant account providers differ in the benefits they offer, so choosing the right one becomes essential to the success and growth of your business. They not only allow you to process credit card and other digital payments, but also help reduce unwanted overhead costs. Choose merchant account providers who have strong industry reputations, and happy customers. Check a variety of sources (Google search is helpful) and read third-party review sites for unbiased commentary on the type of service you’re likely to receive. As much as we dislike it, you should also beware of scam artists and ensure you’re looking at legitimate merchant account providers. Most businesses are willing to provide references from satisfied customers. Focus on the experiences of customers whose businesses are most similar to your own — the idea being they’ll understand the most about your particular industry and requirements. Customer references facilitate comparisons that reduce the possibility of negative surprises down the line. It’s unfortunate but true that ecommerce merchants face off against fraud every day. The industry works to eradicate fraud, and bad guys work equally hard to thwart new security measures. When considering merchant account providers — and before inking a deal — be sure you understand how each provider handles instances of fraudulent payments and chargebacks. Some will work with you to solve the problems, like a business partner. Others react by imposing penalties, suspending, or even terminating your processing account — sometimes without warning. Whichever merchant account providers you choose must be willing and able to offer ongoing support for your business. They all talk about providing support, but not everyone defines it the same way. Identify what type of service you need and want. Some businesses need access to support 24 hours a day, seven days a week. Others need assistance only when there’s an issue to resolve. Are you more comfortable talking to a live customer service person, or are you satisfied with simple email support? Working with merchant account providers requires an investment on your part. Choose a provider that offers the level and type of support you need. It’ll save you both time and money in the long run. Finally, when you begin your important search, be sure to check out this 5-step process for selecting the right merchant account providers. Abraham Lincoln said, “Always bear in mind that your own resolution to succeed is more important than any other.” We know that change can be hard. But it doesn’t have to be — when done for the right reasons. Many merchant account providers exist out there. For best results, be sure to choose one that offers business model flexibility and robust payment features to support your growing business, along with a PCI-DSS Level 1 compliant gateway. Choose a payments expert who also serves as a consultant and payments advisor, who views you as a business partner. The right partner offers guidance on a personalized suite of fraud tools and works with you to optimize your payments processing capabilities. 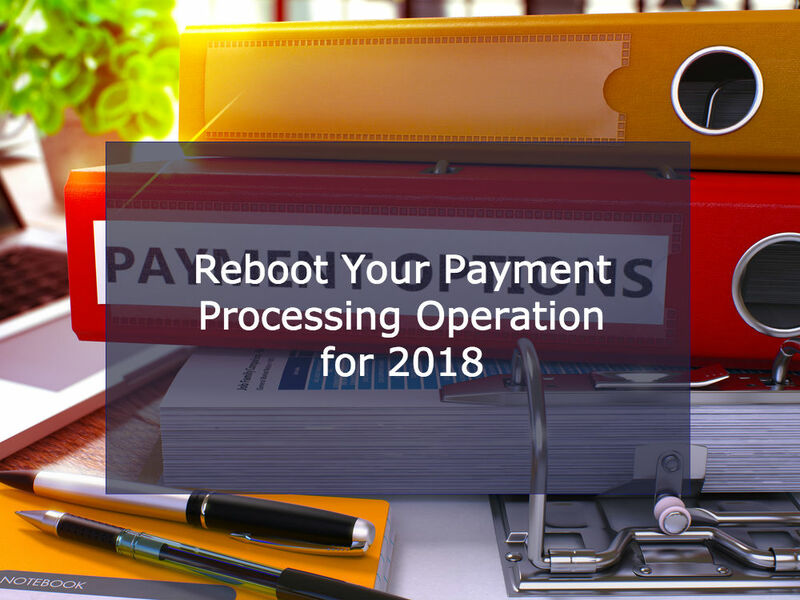 MerchACT can’t think of a better reason to change your merchant account providers than to set up your ecommerce business for an even more successful 2018. We’d like to be part of that continuing success.